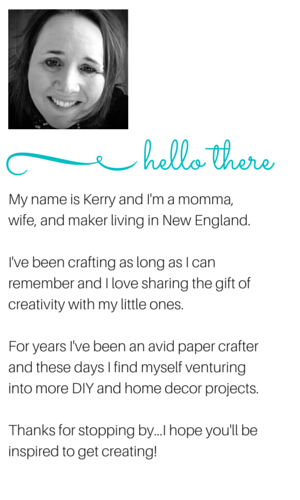 Peonies and Paper Chains: PPA 195: Peekin' Out of the Grass! PPA 195: Peekin' Out of the Grass! For the past few days there has been grass showing in our backyard...not a lot but some! Sun and warmer weather gave us the look at the green. Today the grass is blanketed in snow once again. Like so many people, I am so ready for winter to be over! In great anticipation of the arrival of spring, I decided to create a little green was in order for my Pals Paper Arts (PPA195) submission! 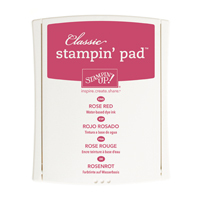 The Rose Red, So Saffron, and Wild Wasabi provide such a hopeful array of colors while we wait for spring to arrive! 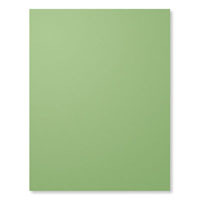 Cut a strip of card stock (any color) that is 1" by 6.5". 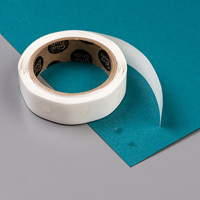 Shape it the strip into a circle and using an egg as your guide, use glue dots to secure into an appropriate size -- trim any excess cardstock away. Cut a piece of Wild Wasabi cardstock that measures anywhere from 1.5" to 2" by 6.5" (mine measure 1.5", 1.75", and 2" respectively). 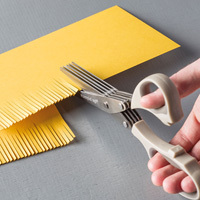 Use your Fringe Scissors or Paper Snips to cut grass. Take your Glue Dots and secure the grass to the originalk egg base that you formed and again, trim off excess grass. The Flower Shop stamp set and coordinating Pansy Punch worked just fine for the embellishments and I do think the smaller scale of the Petite Petals bundle would be fabulous! For those of you celebrate Easter, perhaps you'll give these egg holders a try! Oh, and one more thing, I'd venture to guess that if you cut a toilet paper rolls into rings, that those rings were make a perfect foundation for this project and you could simply cut make the grass pieces and attach. Just a thought! Remember that the new weekly deals are in full force! You can click the image below to go straight to my online store if you'd like to take advantage of these incredible offers! Wishing you a wonderful day! Thanks for stopping by and happy creating to you! P.S. A special thank you to Lisa Harlow for a bit of inspiration today. 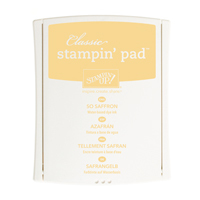 Lisa is a fellow Stampin' Up! demonstrator and we follow each other on Instagram. Lisa sometimes adds a little text to the photos of her creative projects and I thought I'd give that idea a try! Thanks, Lisa! The lettering itself is from the Rhonna Designs app.